Gel Fuel: The heart of a HearthCabinet alcohol burning fireplace is our unique single-use, pre-filled, alcohol gel fuel cartridge. Our patented eco-friendly alcohol gel fuel cartridge ensures safe use and a brilliant real, roaring and crackling flame. There is no smoke or odor like a wood or gas fireplace. The fuel is a clean-burning mixture of isopropyl alcohol and water, with a little thickening agent, and is similar to hospital grade hand sanitizers or chaffing fuels. 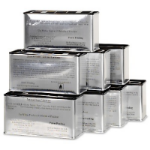 Our alcohol gel fuel cartridges are a far cleaner alternative to wood or gas and do not require venting. As lively as a wood fire in appearance, like a log, each cartridge lasts approximately 2 to 2 1/2 hours. Lit with a long butane lighter, cartridges can be extinguished at any time with supplied snuffer plates or left to go out on their own. The remaining empty aluminum cartridge can be tossed in the recycling bin. While not meant to be a heating source, HearthCabinet Ventless Decorative Fireplaces do give off heat, and since no chimney or venting is required, all of the heat remains in the room. Each gel fuel cartridge provides 5,000 BTU’s of heat for a maximum of 10,000 BTU’s when using two cartridges at once, side-by-side for a wider and taller flame. Gel cartridges are unscented but are also available in pine, vanilla, and cinnamon. Cartridges come in cases of 8, are purchased online, and shipped anywhere in North America. 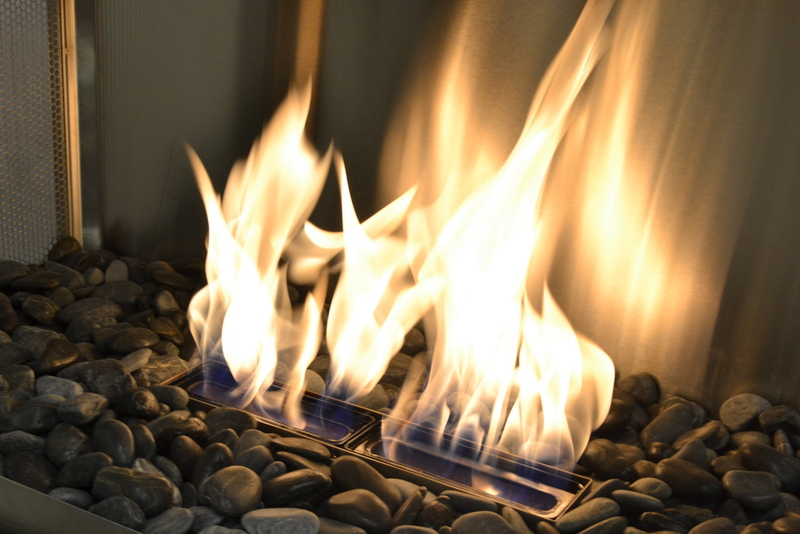 For more information on safe use and operation of gel fireplace inserts as well as for our Cartridge Evaluation Documents, click here.